The Story: The Skitarii are the soldiers of the Machine God, the tireless legions of the Adeptus Mechanicus. Holy Warriors, they carry the word of the Omnissiah across the galaxy, destroying the impure machines of aliens and renegades and spearheading the Quest for Knowledge. A discovery of ancient technology sends a Skitarii legion, commanded by Alpha Primus Haldron-44 Stroika, into battle on a forge world overrun by Chaos. When a cataclysm cuts him off from his tech-priest overseers, Stroika must rally his forces and battle corrupt machines and Chaos Space Marines if he is to achieve victory. The Good: The Adeptus Mechanicus are one of the coolest factions in the Warhammer 40K Universe. Hailing from the planet Mars, they are responsible for maintaining the technology of the Imperium of Man and its primary scientific research institute. Maintaining their own traditions and religious beliefs, they are an empire onto themselves with the Imperium of Man. 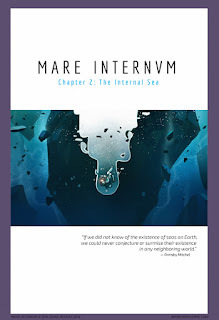 While there have been several books about the Adeptus Mechanicus such as the Mars series by Graham McNeil, this one has been the first Bookworm has read where they were the main focus of the book and not as side characters. It is also the very first one about the Skitarii Legions, which are oft mentioned but rarely the focus. They have been seen several times but they have been inconsistently portrayed, which is fairly common in Warhammer 40k or in any other franchise that has been around for a long time. It is good that we finally have this book, along with the new codex, to really hammer in what the Skitarii are like. Perhaps this is only applicable to the special edition that Bookworm has, but we are even given artwork that portrays the Skitarii’s appearance and the type of weaponry they utilize. Like all Warhammer 40k books, the action is nonstop and a ton of fun. The twisted forge world upon which the Skitarii do battle has a lot of character and perhaps not to the extent it should be but the twisted, possessed machines, mutant servitors and living metal successfully build a world that really does feel like an industrial park from the nine-rings of hell. Which, in effect, is exactly what the tainted forge world is. The world building in this book is excellent and the author constructs it in a way that feels very authentic by using the perspective of Haldron-44 Stroika. He talks about the word as if he was there…about how one would describe coming home after a long journey when he talks about returning to the forge world of Satzica Secundus and how he speaks of the twisted, industrial hell of Velchanus Magna. It is difficult to put into words but the author does a great job of making this book feel like the Adeptus Mechanicus. The chapter’s are numbered using binary code and look like computer (or cogitator) files. The way the Skitarii both have numbers and names as part of their designations. All of the X’s and K’s mixed with Roman like names. The constant references to technological terms. One can feel the spirit of the Mechanicus in the pages of this text. Excellent world building aside, the strength of any book is always its characters and this book delivers. For Bookworm, the biggest appeal of Warhammer 40k, is its humanity. In this nightmare future, where human lives are measured by the ton and it is filled with altered human states such as psychics, cyborgs, and eight foot tall, genetically engineered warriors, humanity still finds solace in things such as honor, faith, and duty. Haldron-44 Stroika is a holy warrior of the Machine God and he believes that with all of his heart. Even though the majority of the his body has been replaced by metal, he is still so very human. He thinks in terms of numbers and mission probabilities but he knows when to trust in his gut. Haldron-44 Stroika is a great character and Bookworm really hopes that we see him again in future tales of the 41st Millennium. Please let this book be the first in a series. The Flaws: Again, the reader encounters the forces of Chaos and their tainted selves and again it is very similar to the countless other forces of Chaos seen in other books. The Black Library needs to make an effort to diversify Chaos. Every chapter of the Adeptus Astartes is unique as is almost every regiment of the Imperial Guard. It would do well to make Chaos the same way. This is not a flaw of the book per se but it does reflect a trend that is kind of annoying in Warhammer 40K literature: It seems as though every other time the forces of the Imperium face the Chaos Space Marines, it is those of the Iron Warriors. There were nine traitor legions of the Adeptus Astartes, why can’t we see more of the Alpha Legion or the Emperor’s Children? 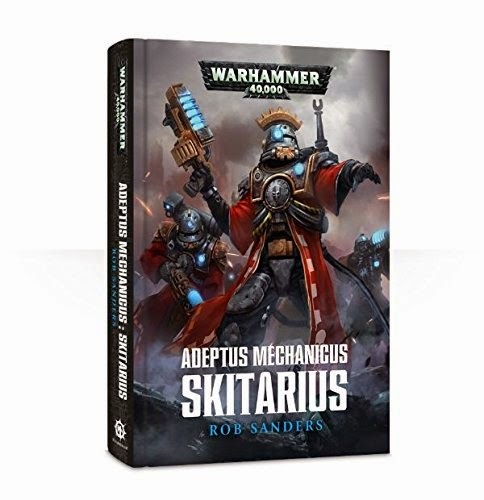 Final Verdict: Adeptus Mechanicus: Skitarius is an excellent book and probably one of the best that has been released by the Black Library in recent memory. The world building, the characters, and the action are all superbly crafted and makes the reader hunger for more. Rob Sanders: Keep up the good work! Have you read the sequel to this novel, Adeptus Mechanicus: Tech-priest, yet? Also by Rob Sanders, and if you love the first book, you'll absolutely love the second book more. I actually like Tech-priest a lot more than Skitarius. Looking forward to your review on it soon! Please let me know when you post it!